"Death and the Purple Cow"
Sometimes there is a sense of irony that runs through the stories and back-stories of Old Time Radio and rarely do we find a story quite as ironic as William Gargan: Gargan's big brother Edward was born in Brooklyn on July 17, 1902, and exactly three years later to the day, William was born. Their father was both a book keeper and book maker. The performing bug seems to have infected Edward early on; he began acting immediately after leaving school, and would go on to become one of Hollywood's most prolific "bit players" (a large number of his more than 300 movie and TV appearances were uncredited). William was a little more indirect in his path to the spotlight. He worked a number of jobs including soda-jerking and streetcar conducting. He even spent time in his father's world as a collection agent for bookmakers. He sold bootleg whiskey to speak-easies and eventually joined a detective agency. His career took a turn one day while visiting Ed backstage at a musical comedy. The company needed a stagehand, but soon enough William moved in front of the stage lights. The brothers separately got into films in the early 1930s. 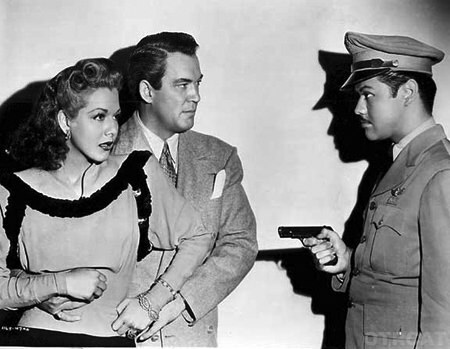 As part of his MGM contract, William appeared on several episodes of the studio's radio show Good News of 1940. He played a number of stereotypical Irish roles, cops, priests and reporters, eventually landing the role of Ellery Queen, helping to cement himself to detective roles. When his association with MGM came to an end in 1943 he toured with the USO for a time, and considered it as the most rewarding experience of his career. Gargan seemed to truly hit his stride in Martin Kane, Private Investigator. 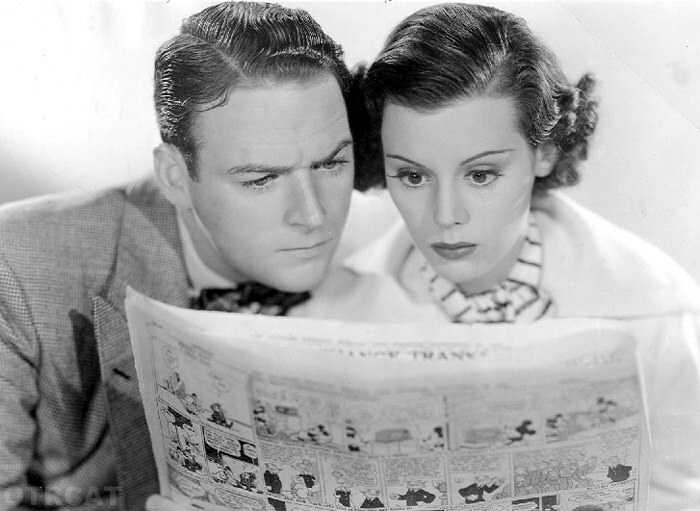 Many early TV programs were taken from successful radio shows, but this isn't necessarily the case with Martin Kane; Gargan premiered the show on radio in 1949, then took the character to TV three weeks later, and continued until 1951, when the role in both media was given to Lloyd Nolan. But it was Martin Kane that put William Gargan on the map. The show was sponsored by the U.S. Tobacco company, whose product was used extensively on both the TV and radio programs. The cast change left Gargan open to change roles to Barry Craig, Confidential Investigator. Barry Craig was standard PI fare, although Gargan played him somewhat low key and less hard-boiled. Craig was "your man when you can't go to the cops. Confidentiality a specialty." Craig took a page from Sam Spade and narrated the stories, but less hard-boiled than some other detectives, almost with a sense of humor. The real irony of Gargan's role as Martin Kane came to light in 1958 when he was diagnosed with throat cancer. In 1960 it was necessary for his larynx to be removed. Eventually he learned to speak using an artificial voice box, and became an activist against the dangers of smoking. 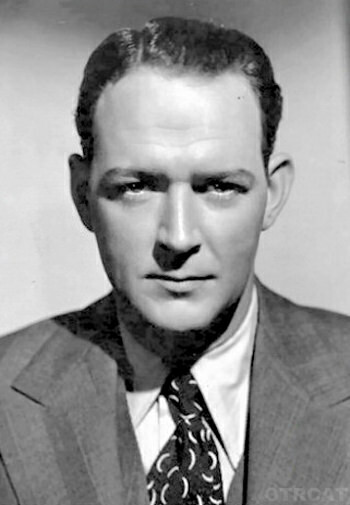 William Gargan passed away from a heart attack in 1973 while on a flight from New York to San Diego. This collection includes Gargan's many appearances in Barry Craig, I Deal In Crime, and Martin Kane as well as rare guest appearances in shows such as Command Performance, Bing Crosby Show, Good News of 1940, Lux Radio Theater, Murder Will Win Out, and Obsession. For more great old time radio actors please see Frank Lovejoy, Jeff Chandler,Gerald Mohr, William Conrad, and Paul Frees. Be the first to comment on "William Gargan"